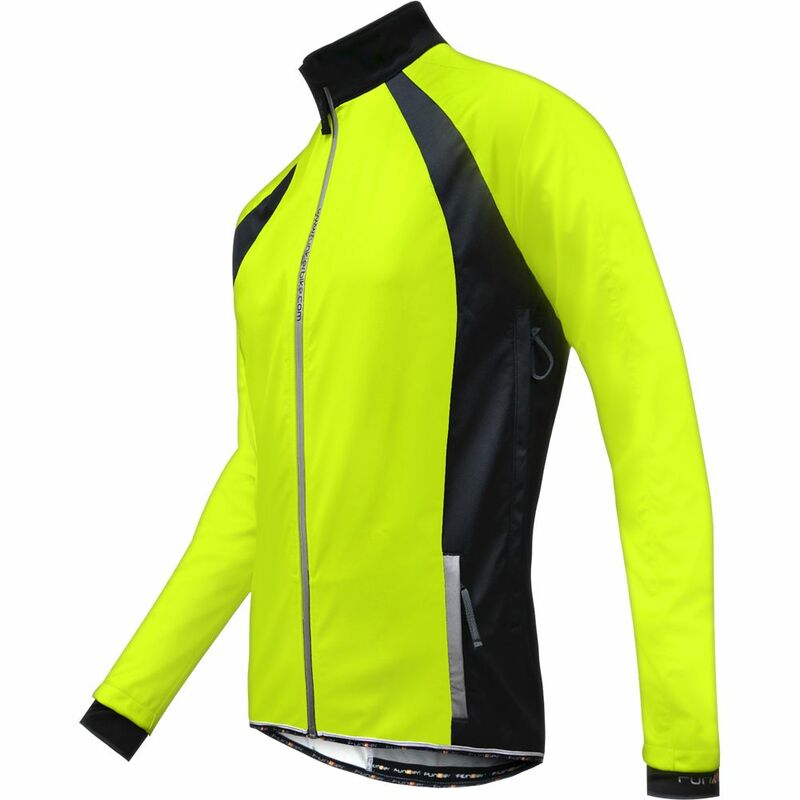 Funkier's WJ-1323 Soft Shell windstopper jacket is windproof, water resistant and breatheable. Excellent in cold winter conditions and shaped to fit perfectly. Nice jacket for the money. Haven't hit Winter yet, so hard to really give it a solid review at this time. But it appears well constructed. Strange. The yellow is just plain yellow - NOT "day-glow" flouro. That's a big let-down. If I knew that, I would've just ordered the black. No "hanger loop". Another let-down. Rear zipper-pocket: The zipper is about 25mm narrower than the pocket, on each side. It's big enough to get my hand in and out, but under the zipper-flap it's awkward when I'm wearing it. That zipper should be 30-50mm longer. Vented zips above and below armpits, but not at the armpits. Vented zips are long and have mesh which limits how much they open; maybe the mesh limits the opening too much? The pockets can also serve as extra ventilation, if needed. Otherwise, it seems well constructed, despite what seems to me like design flaws. I'm 180cm, 72kg, and the large fits well.